Aromatically with a diffuser or simply putting a drop or two in your hands, rubbing them together and making a little nose tent to breathe in. Topically by diluting the essential oil with a carrier oil like olive oil from your kitchen. Internally only use essential oils that are labeled for internal use like doTERRA. Add a drop to your drinking water and use when cooking. 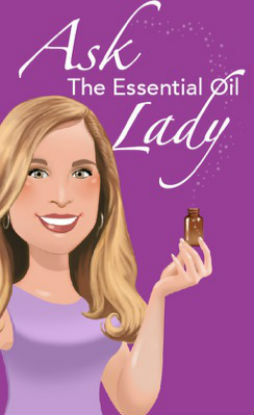 Here is a brief summary of my 10 tips on how I use essential oils to help slow the aging process and minimize wrinkles that can make you look older. For more detailed information, save the video and replay! 1. Desperate for a good night’s sleep? Use lavender oil on the bottom of your feet before you go to bed. 2. Lavender is also great for calming the skin. Use on the puffy redness from having your eyebrows waxed. 3. Combine lavender with rosemary oil and use to promote hair growth and stimulate blood flow to the scalp. 4. The Balance Blend oil is very grounding. Mix it with lavender and diffuse for a deeper sleep allowing the body to detox and recharge. 5. Vetiver is good for quieting the mind. Mix with lavender in a roller bottle and rub on the temples and back of neck and you’ll go right back to sleep. 6. Add cypress oil to your facial toner and use to help tighten facial pores and even the veins on your legs. 7. The Slim ‘n Sassy oil helps you look younger by releasing trapped toxins from your body’s fat cells. 8. Add a drop of Slim ‘n Sassy oil to a glass of water or tea to help control hunger, reduce cravings and balance blood sugar. Losing a few extra pounds can help you look younger! 9. Frankincense oil is a natural anti-inflammatory and geranium helps with lymphatic drainage when used together are very supportive for healthy breasts. Mix in a roller bottle and apply topically every night. 10. My secret weapon for reducing facial wrinkles and fading brown spots is. . .Immortelle Anti-Aging blend! It contains all the heavy hitters; frankincense, sandalwood, myrrh, lavender, rose flower and helichrysum flower. My BONUS Tip is take high quality whole food supplements like the ones from doTERRA. Their supplements contain nutrients from the healthiest most potent plants grown in their natural environment in the world! Learn more about Jennifer’s balanced approach to wellness on her Empowering Health website. Like Empowering Health on Facebook. 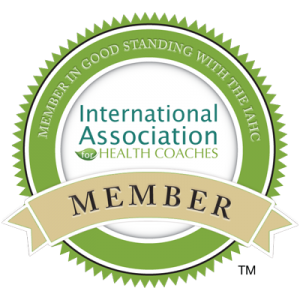 Click on my name above to visit my Meet Lou Ann page and learn more about me and my passion for healthy living, community and social media.